There is a run-off election tomorrow between the current Court of Appeals Judge Jack Wilson and the current Madison County Court Judge Ed Hannan for the Court of Appeals. You may read about each candidate at the site linked to their pics above. Judge Wilson was in the lead after last Tuesday’s vote, but did not have a majority, hence the runoff. Judge Wilson was appointed to the Mississippi Court of Appeals by Gov. Phil Bryant effective July 1, 2015. Since joining the Court of Appeals, Judge Wilson has participated in over 500 cases and has authored 78 published majority opinions for the Court — more than any other member of the Court — and another 15 separate opinions. Despite his youthful appearance, Judge Wilson has appellate court chops. Judge Hannan was first elected Madison County Court Judge in 2006 and was re-elected in 2010 and 2014. As County Court Judge he presides over Youth Court and the Special Court of Eminent Domain. In 2011, he was appointed Special Circuit Judge by the Mississippi Supreme Court to preside over the then newly created Twentieth Circuit District Drug Court for Madison and Rankin Counties. He serves as a Special Circuit Judge and Acting Circuit Judge in criminal and civil cases in Madison County. 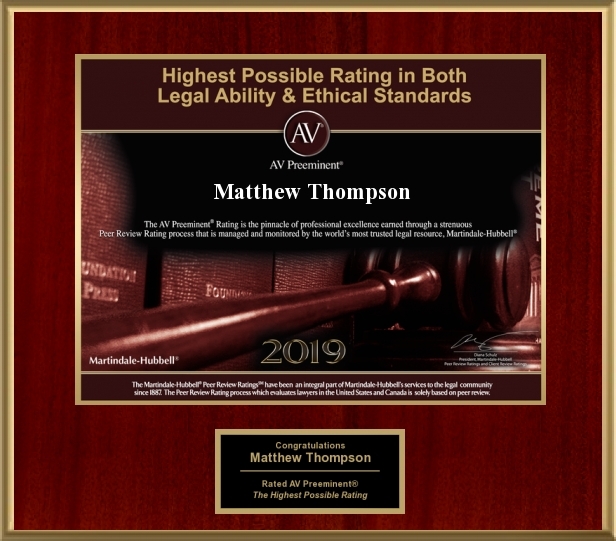 Matthew Thompson is a family law attorney in Mississippi and would ONLY have a dog in this fight if a Chancery case was appealed. Previous PostDo I Need a Lawyer?Next PostAttorney Kelly Williams certified as a Child Welfare Law Specialist .